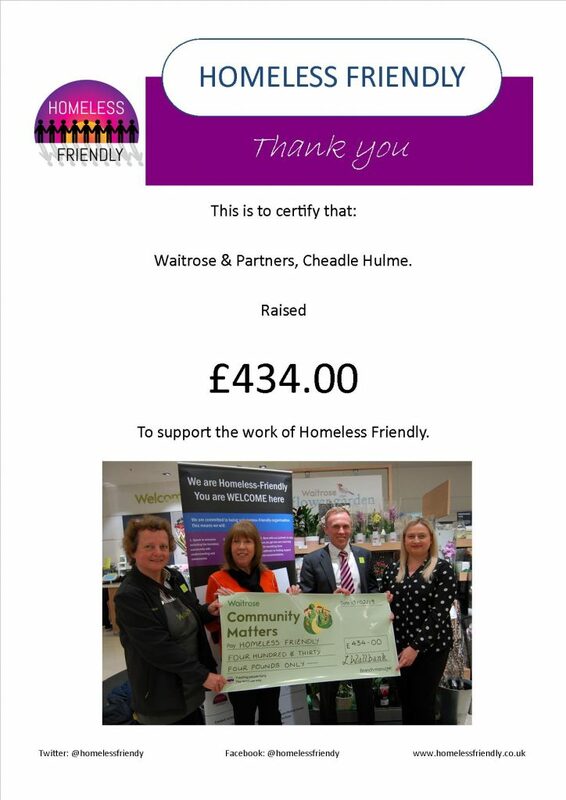 Homeless Friendly has received a cheque to the value of £434 which was donated from Waitrose & Partner’s Community Matters. the money is going to be used to facilitate our new initiative relating to GP Food Banks starter packs. 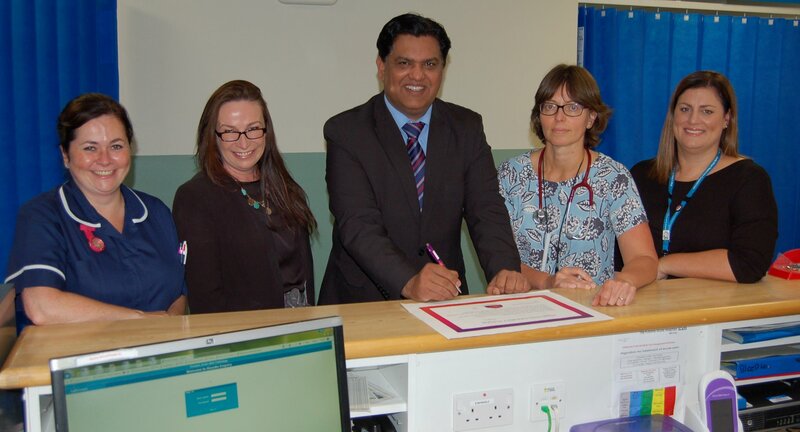 A PIONEERING group of GP’s surgeries have become some of the first in the country to offer medical care to the homeless as part of a groundbreaking scheme. 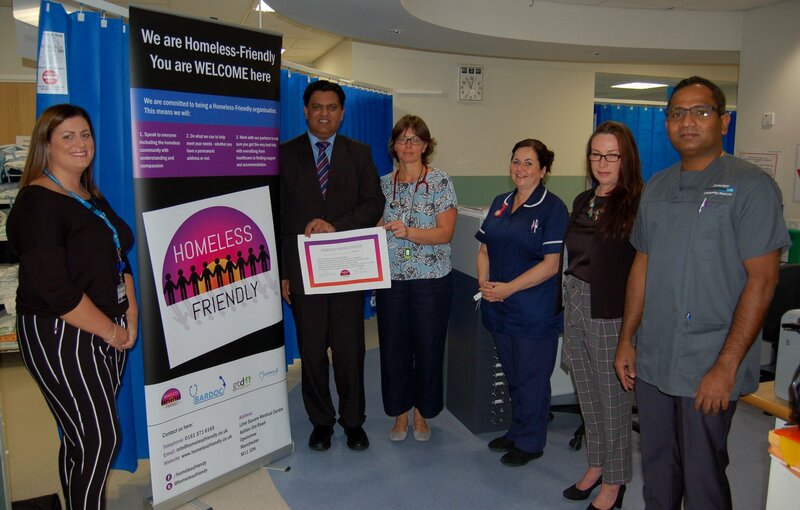 More than 20 practices, medical centres and organisations in the borough have pledged to become homeless friendly as part of a project of the same name, established by Whitefield-based Beacon GP Care. Among the other trailblazing practices is Birches Medical Centre, in Polefield Road, Prestwich ­— the first in the town to sign up after a doctor at the surgery, Dr Robert Lipski, discovered a young patient he had been treating was living in his car. Birches has now vowed to examine its policies and procedures to ensure they are 100 per cent homeless friendly. Staff at the medical centre have since taken training on working with other organisations that provide shelter, addiction support and advice on job hunting, and have discussed setting up a foodbank at the surgery. The surgery also took part in session detailing some issues that homeless people who need medical care face ­— such as attending appointments on time when they have not watch, or filling in forms that demand an address. Jan Rogers, practice manager at the Birches Medical Centre, said: “Ours is quite an affluent area but we do see vulnerable patients. Homeless-Friendly was launched in 2017 and aims to treat rough sleepers, sofa surfers and any person without a fixed abode to the same medical care, dignity and respect given to all other patients, as well as provide support and combat the roots of the UK’s homelessness problem. It is hoped the wider-scheme will encourage a cultural shift in how those without a permanent home are viewed by society. Bury’s Fairfield was first the hospital to join the project, and last year Bury became the first local authority to issue cards to rough sleepers offering 24-hour health care. 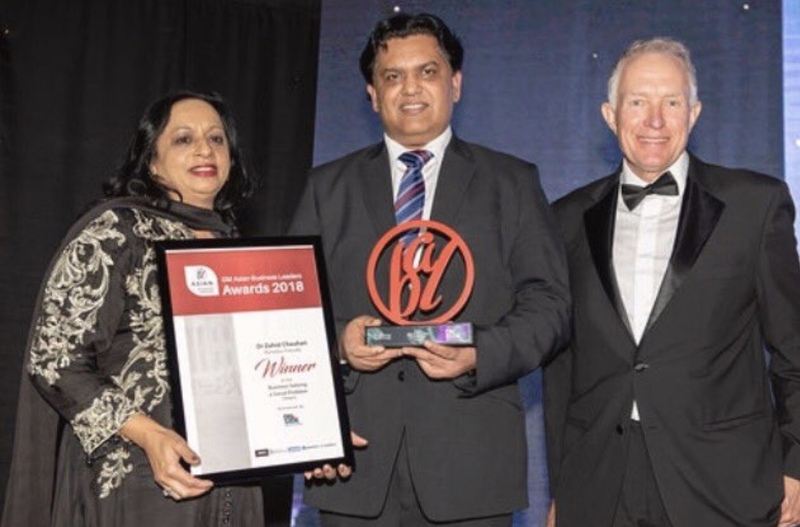 Dr Zahid Chuahan, the programme’s founder, said: “Homelessness is not just a city or even town centre problem any more. Rough sleepers are fleeing urban areas because of fears for their safety and in the belief that people in the suburbs will be kinder to them. Street Support and Homeless Friendly are working in partnership. Street Support Network are ‘Working Together To End Homelessness’. Islington has become the first London Borough to pledge to offer quality services to those experiencing homelessness. 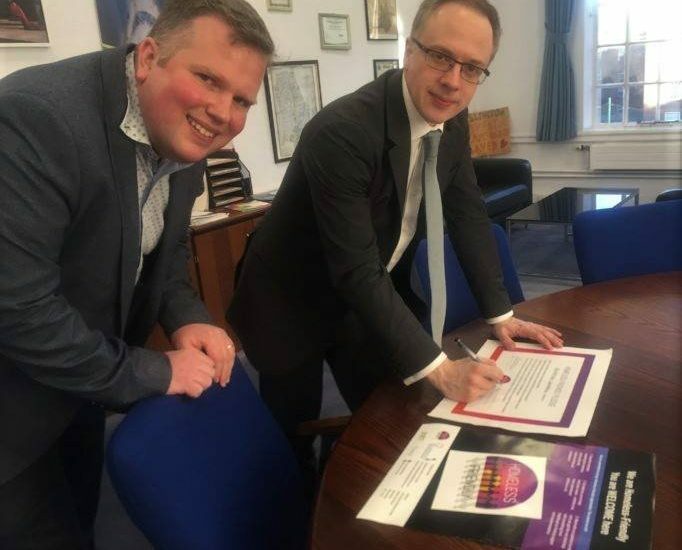 Executive member for housing and development, Diarmaid Ward, and Leader of the Council Richard Watts, put their names to a promise to examine the local authority’s policies and procedures and ensure that they cater for rough sleepers, sofa surfers and others without a fixed abode. 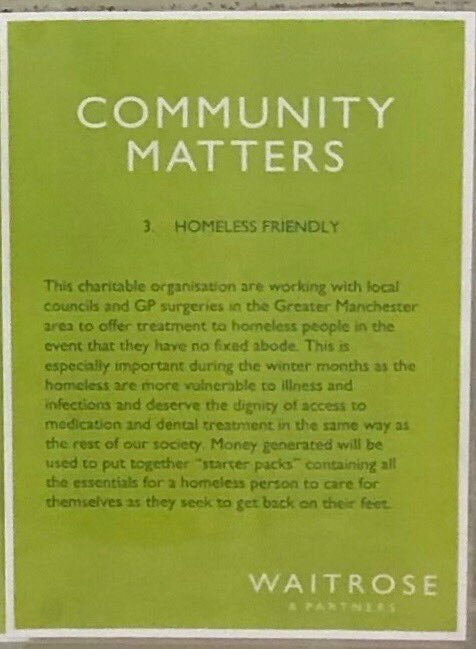 Delighted that Waitrose in Cheadle Hulme have chosen Homeless Friendly as one of their ‘community causes’ for the month of December. If you’re near Cheadle please call into Waitrose and put your token in our box – Thank you Waitrose we appreciate your support. 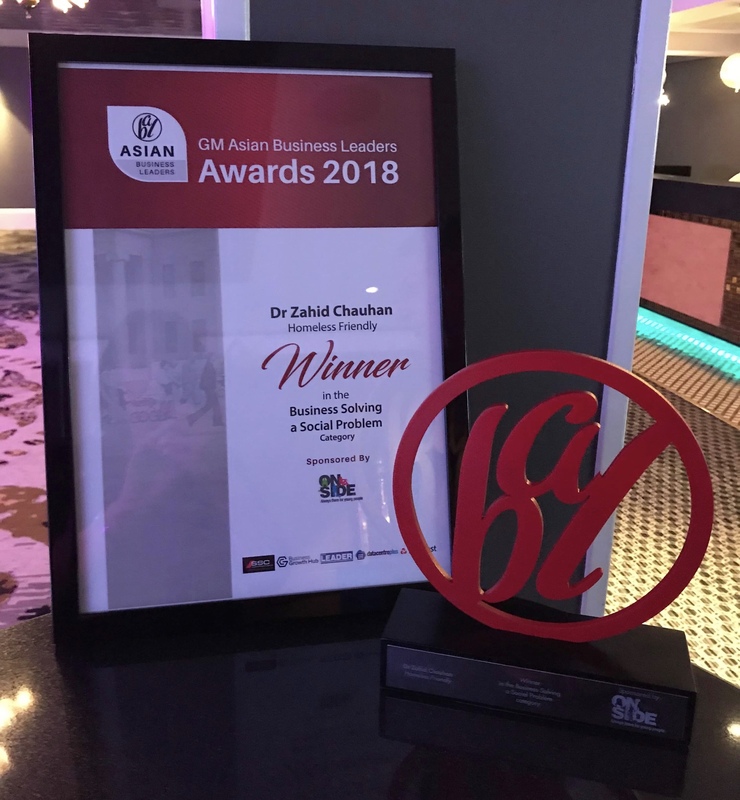 “I am absolutely delighted and humbled to have received this award as it recognises and rewards the work being done by Homeless-Friendly to achieve excellent healthcare for the most vulnerable in our society. 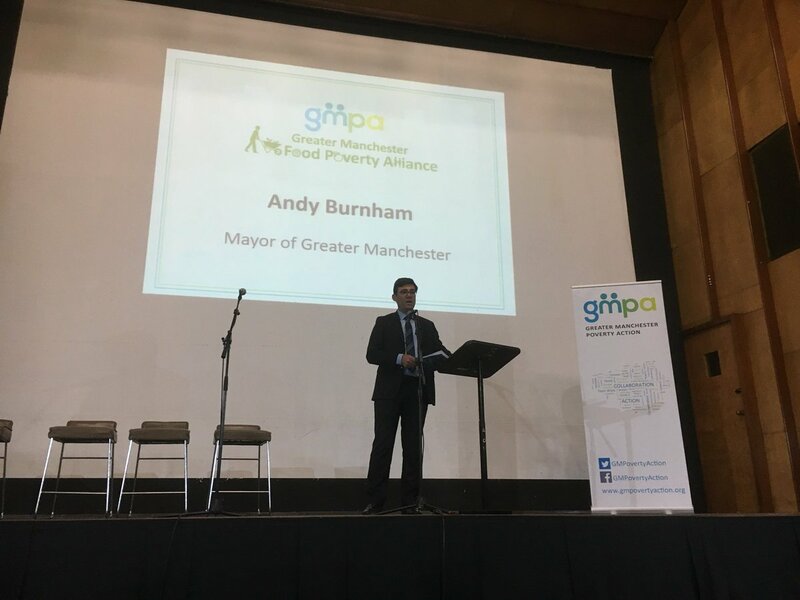 Rough sleepers, those in temporary accommodation and anyone experiencing the heartbreak of homelessness can now be assured that they will be seen and treated in many areas of Greater Manchester, without the need to prove a permanent address. And that is essential, given that homeless people are experiencing significant health problems from malnutrition through to hypothermia and dangerous infections, which should be treated without the need for a visit to emergency departments. Although a fairly new programme, Homeless-Friendly has had a significant impact and has been an inspiration to so many. That is due to the support of its pioneering partners and the dedication of our staff. We should be mindful however, that on the day we received this award, charity CentrePoint reported that nearly 20,000 young people could be homeless this Christmas. Urgent Health UK held its annual conference on 13th and 14th November in Liverpool. 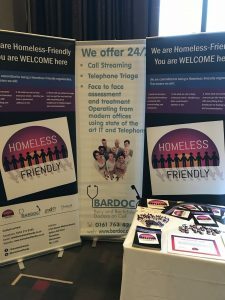 Homeless Friendly and BARDOC were promoted through a stand at the event. It was wonderful to be in the company of so many like minded people who work our most vulnerable customers. At the event in excess of 20 people signed up to their own individual Homeless Friendly pledge.